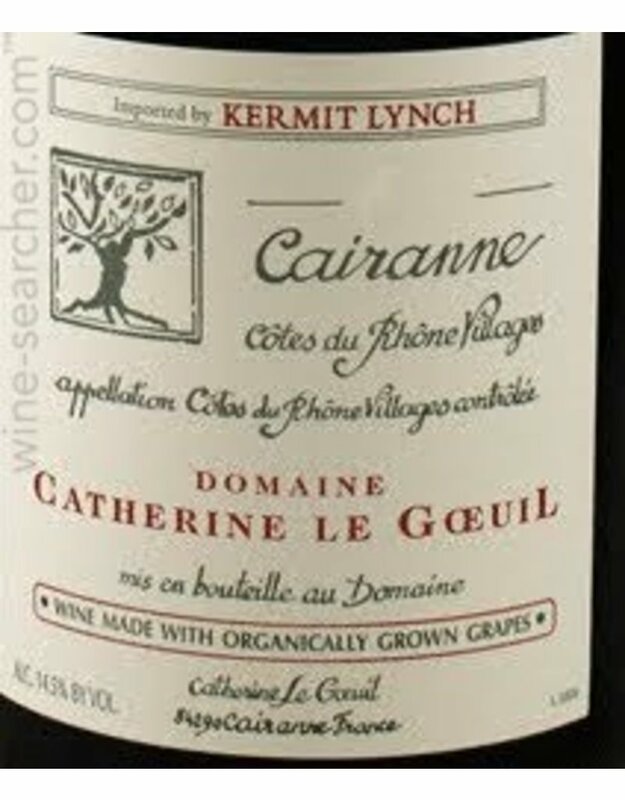 Catherine Le Goeuil’s taste for adventure has made her a leading pioneer in Cairanne, where in 1993 she began adopting an organic program of viticulture. Naturally, this style of winemaking allows for a full, unfiltered expression of terroir––in this case, the heart of the Vaucluse in the Southern Rhone. 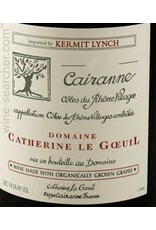 Le Goeuil credits this soil for giving her wines with finesse and approachability, but she deserves credit, too. Brave trailblazing, risk-taking, and persistence in the face of scrutiny have given this creative maverick the fortitude to make delicious, elegant blends year after year. This Côtes du Rhône Villages blend is replete with ripe and decadent nose, wild thyme, stones, and loads of Grenache fruit; chewy, concentrated, great tannins, palate-staining sensations, and just a whole lot of rock ’n’ roll going on.